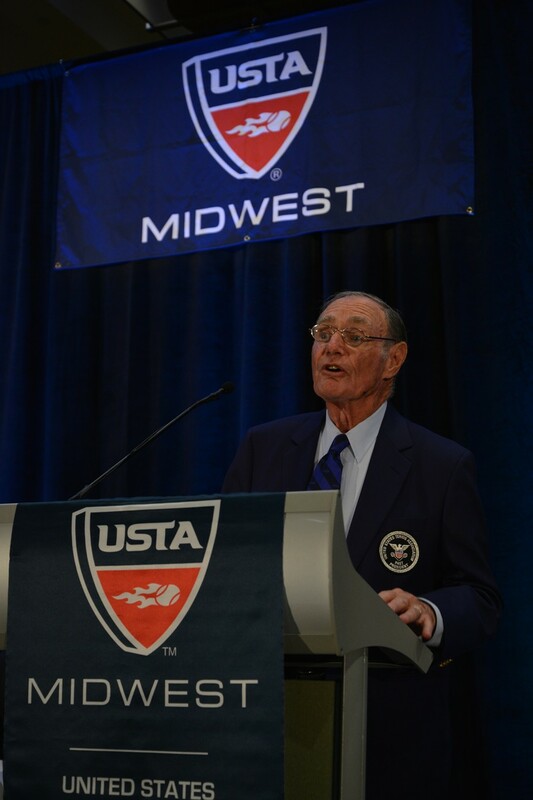 Former USTA President and USTA/Midwest Section David Markin has passed away. David, who served as USTA President from 1989-90, and USTA/Midwest Section President (formerly Western Tennis Association) from 1980-1981, was a successful and astute businessman who utilized his business acumen and his lifelong passion for tennis in leading this association through an important time of growth and change. David further employed his talent and keen vision in chairing the US Open site committee in the mid 1990’s, which planned and executed the revitalization of the National Tennis Center, including the construction of Arthur Ashe Stadium, the centerpiece of the US Open and one of the finest sports facilities in the world. David was currently serving as a member of the USTA Major Construction Oversight Committee. An avid player and supporter of our sport, David was devoted to giving back to the game he loved so much. In addition to serving as President on both the national and section level, he served as Chairman of the Davis Cup Committee, the Junior Tennis Council, and was, for many years, the official referee of the National 16-18 Boys’ Championships in Kalamazoo, Mich. From 1976-2007. He was awarded the Samuel Hardy Award for long and outstanding service to the sport in 1991, and in 2010, was presented a USTA Volunteer Service Award for 40 years of devotion to tennis. Not only was David inducted into the USTA/Midwest Section Hall of Fame, he was a tremendous supporter in the construction of the Hall of Fame in its current location in the Midwest Youth Tennis & Education Foundation’s building in Indianapolis. Prior to relocating the Hall of Fame to Indianapolis, David was instrumental in creating its original location in the Markin Racquet Center in Kalamazoo, Michigan. David was the 1982 USTA Community Service Award and USTA/Midwest Section Mel Bergman Award recipient and was inducted into the USTA/Midwest Hall of Fame in 1995. He is also in the USTA Eastern Halls of Fame. His interest in tennis began when he played in high school while growing up in Kalamazoo, Mich., and then on the Bradley University team in Peoria, Ill. David resided the last several years in Palm Beach, Fl. with his wife and children. There is a plaque on the outside wall of Arthur Ashe Stadium bearing David’s likeness with an inscription that reads, "His inspiration and hard work made Arthur Ashe Stadium a reality." The entire USTA family will miss him.